With a few new faces numbers reached 14 this week. I arrived early to find I'd been beaten to the post by some IpBoG regulars. Eager to start they were already finishing up a game of King Of Tokyo. I was greeted by Muir telling me that I still needed to write that game up on the blog, probably because he'd won. More early arrivals came and Muir attempted to teach another of his prey how to play Netrunner while we launched into a second game of King Of Tokyo. It came down to a tense last round with all to play for. Dan and I were pretty much neck and neck, if I didn't score 4 on my attack and kill his monster he would get two victory points for staying in Tokyo and win the game. Despite my best efforts I only managed to roll three damage and Dan was victorious. We split into three groups, one playing Terra Mystica, another playing Lords of Waterdeep and the final playing Level 7 [Omega Protocol]. I was torn between Terra Mystica and Level 7 as I've been wanting to try my hand at both for a while now but opted for the latter. However the full allocation of six players is probably too much as the downtime dragged and we got bored, disregarding the first rule of dungeon crawling - always stay together. Splitting into two separate groups the alien hordes has no problem picking off our commandos. 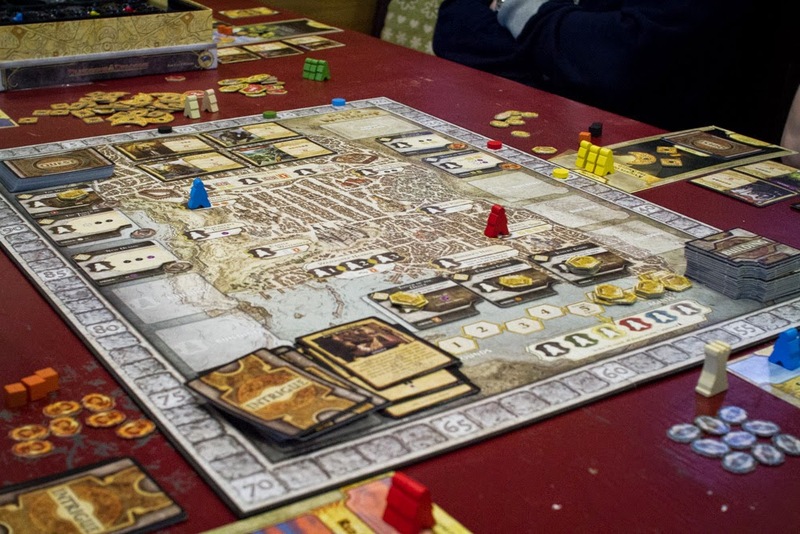 After Waterdeep a few guys squeezed in a couple of rounds of Love Letter before heading home. 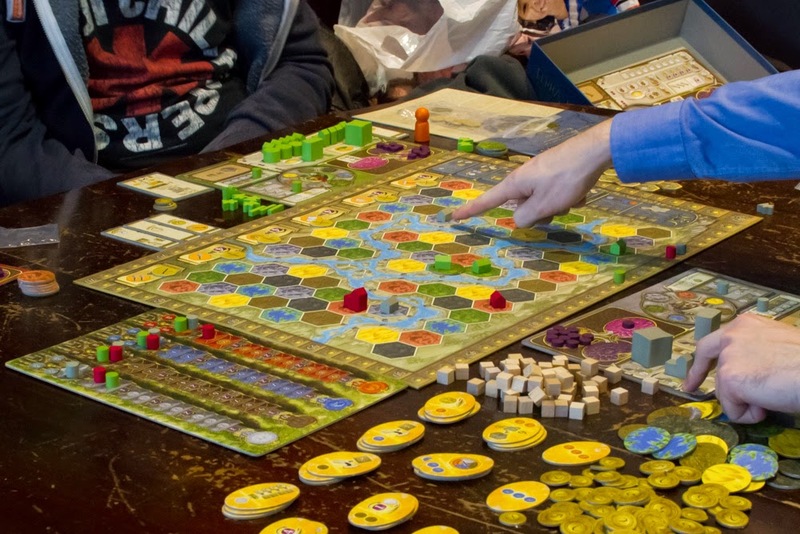 Drained from our defeat, I left as Terra Mystica was winding up. I'm not sure who was winning but Dan was coming last. Not victorious this time, Dan!